Over the past 30 years, fiber optic technology has spanned its commitment constantly with the even more endeavors nowadays to meet the ever-increasing networking bandwidth for high-quality Internet applications. In these applications, fiber optic connectors, serving as mousetraps, are used to couple the source, receiver and other components to the fiber optic cable. Fiber optic connectors generally use either physical contact (PC) or expanded beam technology. This article mainly discusses PC connectors from single-channel and multi-channel aspects. It’s necessary to figure out what PC connections are first. A PC connection is accomplished by terminating the optical fiber into a precise ceramic ferrule. The tip of the ceramic ferrule is polished in a precise manner to ensure that light enters and exits at a known trajectory with little scattering or optical loss. In achieving PC connection, there are two requirements for a cleaved fiber endface for PC connection. One is that the fiber endface inclination is less than 0.6°, and the other is that there is no mist on the endface. There are countless single-channel and multi-channel fiber optic PC connector types available for telecommunication and data-communication industries. PC connectors are characteristic of directly mating and polishing fibers by utilizing tight tolerance ferrules and alignment sleeves and/or mating pins. This ceramic-ferruled technology permits reliable optical performance, with several designs becoming widely used as industry standards. Typically, these connectors are single fiber solutions with plastic shells. FC and ST connectors are becoming less popular but are still used in instrumentation. LC and SC connectors are commonly used in the telecommunication industry. As a push-pull connector, LC connector, licensed by Lucent Technologies, provides a pull-proof design and small size perfect for high-density applications. It’s available in simplex or duplex versions, widely used in 10Gigabit, 40Gigabit and 100Gigabit applications. 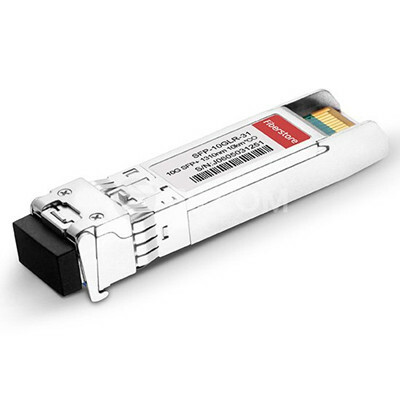 Like Cisco QSFP-40GE-LR4 transceiver, QSFP-40GE-LR4 listed on Fiberstore establishes 40Gigabit Ethernet (GbE) links with this duplex LC connector for 10km maximum link length over single-mode fiber (SMF). SC connector, developed by Nippon Telegraph and Telephone (NTT), is recommended in the TIA/EIA-568-A Standard for structured cabling. It’s also available in simplex or duplex versions, typically used in Analog CATV (Cable Television) and other telecoms applications including point to point and passive optical networking. Multi-channel connectors house multiple fiber optic termini in a precision insertion. The termini can be configured as a pin/socket combination or genderless. MTP/MPO connectors belong to PC multi-channel connector. The US CONEC MTP is a MPO compatible connector that exhibits quick and reliable connections for up to 12 fibers in a very small form factor. Just like LC connector, 40G links are likely to deploy this kind of MPO-12 connector for high performance. Take Cisco QSFP-40G-CSR4 for example, this QSFP-40G-CSR4 transceiver sets up 40G links in 850nm multi-mode fiber (MMF), with MPO-12 as its connector. Both single-channel and multi-channel PC connectors have optical performance characterized by return loss. The return loss of the connector is a measurement of how much light is reflected back at the connector interface. It’s affected by alignment, contamination and polishing. For example, if the mating faces of the two fibers are not parallel, some energy reflects back to the source. Additionally, contamination at the mating interface causes reflection and scattering of light. What’s more, a poor polish may create an end-gap separation or an end-angle. Featuring by the tightest tolerance ceramic ferrules and alignment sleeves, coupled with the highest quality termination and polishing procedures, PC connections are able to deliver unrivaled optical performance. Fiber optic connectors make quick fiber connection and efficient light transmission possible, gaining more and more popularity among their users. Fiberstore offers hundreds of fiber optic connectors, such as FC, D4, DIN, MU, the MTP/MPO ST, SC and LC, as well as their related optic modules (eg. QSFP-40GE-LR4 and QSFP-40G-CSR4 mentioned above). You can visit Fiberstore for more information about fiber optic connectors. Along with the development of fiber technologies over the past a couple of years, tools for easier fiber connection have been invented—fiber optic connectors (or so-called “better mousetrap”). Given there are various fiber optic connectors (eg. ST, SC, LC, MPO/MTP) available for network designers to set up fiber connectivity in bandwidth-demanding applications, this article introduces MPO/MTP in details. MPO/MTP technology with multi-fiber connectors ensures ideal conditions for establishing high-performance and high-speed data networks to handle bandwidth requirements. The term MTP is a registered trademark of US Conec used to describe their connector. The US Conec MTP product is fully compliant with the MPO standards. As such, the MTP connector is a MPO connector. The following passages will mention MPO only instead of MPO/MTP for simplicity. To let readers gain a better understanding of MPO technology, MPO components introduction goes first followed by the applications of MPO technology. MPO (multi-position optical) connector contains up to 24 fibers in a single connection. It’s available in a male version (with pins) or a female version (without pins). The pins ensure that the fronts of the connectors are exactly aligned on contact and that the endfaces of the fibers are not offset. MPO connector components mainly contain two parts: adapter and cable. There are two types of MPO adapters based on the placement of the key: key-up to key-down, and key-up to key-up. In the former type, the key is up on one side and down on the other. The two connectors are connected turned 180° in relation to each other. In the latter type, both keys are up. The two connectors are connected in the same position in relation to each other. Just like what’s shown in the figure below. MPO fiber cables are available in two primary types: MPO trunk cables and MPO harness cables. MPO trunk cables are available in 12-144 counts. They serve as a backbone connecting the MPO modules to each other, intended for high-density applications. MPO harness cables, also called MPO breakout cables or MPO fanout cables, are available in 8-144 counts. As terminated with MTP/MPO connectors on one end and standard LC/FC/SC/ST/MTRJ connectors (generally MTP to LC) on the other end, MPO harness cables provide a transition from multi-fiber cables to individual fibers or duplex connectors. The remaining parts describe how MPO technology is utilized to permit successful migration from 10 GbE to 40/100 GbE. It’s no doubt that converting or expanding existing infrastructure to accommodate higher bandwidth applications is more ideal and practical in data centers. In 10 GbE to 40 GbE/100 GbE migration, the most key point that should be kept in mind is the capacity expansion in which MPO modules are used to enable faster transmission. Many 40G QSFP transceiver modules utilize MPO technology for 40G links, among which the Cisco QSFP is the most widely-used module. Take Cisco for example, QSFP-40G-SR4 realizes 40G links over 850nm multi-mode fiber (MMF) with MPO-12 as its connector type. In 40G to 100G migration, there requires the use of 24-fiber MPO cables. The existing 12-fiber connection can either be expanded with the addition of a second 12-fiber connection or can be replaced with the installation of a 24 fiber connection. With these MPO components and technology applications, it’s easier for network designers to select the right MPO types to meet the bandwidth requirements. As a professional fiber optical product manufacturer and supplier, Fiberstore supplies various MPO modules and cables, including QSFP-40G-SR4 (one of Cisco QSFP products) mentioned above. You can visit Fiberstore for more information about MPO modules. It’s no doubt that 10Gbps speeds for individual streams have been routinely reached under today’s networking environment. And for better network performance, the existing bandwidth has been generated to 40Gbps. Among various network devices designed for 40 Gigabit Ethernet (GbE) links, 40G QSFP+ transceiver are of vital importance in driving the bandwidth to a mounting point. Here this publication puts its focus on the Juniper 40G QSFP+ transceiver, which ensure high density and low latency, as well as small power consumption. Firstly let’s figure out what is the 40G QSFP+ transceiver. What Is 40G QSFP+ Transceiver? The Quad Small Form-factor Pluggable (QSFP) is a compact, hot-pluggable transceiver used for data communications applications. The 40G QSFP+ transceiver is a parallel fiber optical module, using four independent optical transmit and receive channels. It uses a 4 x 10Gb/s link configuration for a 40Gb/s port, offering users high-density 40 Gigabit Ethernet connectivity options for high-performance networks. QSFP+ transceivers can be applied in switches, routers and data center applications. Compared with SFP+ transceivers, QSFP+ transceiver increase the port-density by 3x-4x. Besides, they still enjoy the following features. After discussion on several key features of Juniper 40G QSFP+ transceivers in general, here goes the detailed information about two types of Juniper 40G QSFP+ transceivers: Juniper 40G QSFP+ LX4 transceiver and Juniper 40G QSFP+ LR4 transceiver. The jnp qsfp 40g lx4 transceiver has four 10 Gbps channels, each of which can transmit and receive simultaneously on four wavelengths over a multi-mode fiber (MMF) strand. The result is an aggregated duplex 40 Gbps link over a duplex of two MMF strands. Using duplex LC connectors, QSFP+ LX4 connections can reach 100 meters on OM3 MMF or 150 meters on OM4 MMF. What’s more, this Juniper QSFP+ LX4 transceiver (JNP-QSFP-40G-LX4) addresses the challenges of fiber infrastructure by providing the ability to transmit full-duplex 40Gbps traffic over one duplex MMF cable with LC connectors. In other words, the Juniper QSFP+ LX4 transceiver, a short-reach optical transceiver that delivers 40Gbps over duplex OM3 or OM4 MMF, allows 40Gbps connectivity to connect directly to the 10Gbps fiber and fiber trunk. For Juniper 40G QSFP+ LR4 transceiver, JNP-QSFP-40G-LR4 enables high speed 4 x 10G operations. It’s designed for use in 40 Gigabit Ethernet links over single mode fiber (SMF) with Duplex LC connectors. Compliant with the QSFP+ MSA and IEEE 802.3ba, JNP-QSFP-40G-LR4 is RoHS-6 compliant with built-in DDM interface. Fiberstore compatible Juniper JNP-QSFP-40G-LR4 is intended to support up to 10km over a standard pair of G.652 SMF. The Juniper 40G QSFP+ transceivers are well suited for Infiniband, 40GBASE-SR4, 40GBASE-LR4 applications, suitable for short reaches among switches, routers and data center devices. Combined with right fanout cables, these modules can interface up to four SFP+ transceivers. Juniper 40G QSFP+ transceiver boast of high-density features and provide users with 40Gbps connectivity for better network performances. Fiberstore supplies various Juniper 40G QSFP+ transceiver which are quality and performance assured, such as JNP-QSFP-40G-LX4 and JNP-QSFP-40G-LR4 mentioned above. 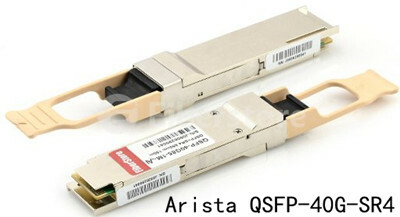 Please feel free to contact us for more information about Fiberstore 40G QSFP+ transceiver compatible with Juniper. Fibre Channel is a flexible, scalable, high-speed data transfer interface that can operate over a variety of both copper wire and optical fiber at high data rate. And optical connections will be the focus of this article. Before we discuss the Finisar Fibre Channel transceiver (FC Transceiver), let’s first make an understanding of Fibre Channel. Fibre Channel, or FC, is a high-speed network technology (commonly running at 2-, 4-, 8- and 16-gigabit per second rates) primarily used for Storage Area Networking (SAN). It allows large amounts of data to be moved reliably at multi gigabit speeds between computers, servers, disk arrays, and other devices. The ports and switches on Fibre Channel network use transceivers, such as SFP (Small Form Factor Pluggable) for 4G and lower Fibre Channel applications, or SFP+ for 8G FC or even 16G FC applications. Finisar Fibre Channel tranceivers offer maximum performance, reliability and compatibility for storage and computing products. The following passages will introduce three kinds of Finisar Fibre Channel tranceivers, 4G FC transceiver, 8G FC transceiver, and 16G FC transceiver. Finisar’s FTLF8524P2BNV transceiver is designed for use in Fibre Channel links up to 4.25 Gb/s bi-directional data rate over multi-mode fiber(MMF). It is compatible with the SFP Multi-Sourcing Agreement (MSA). Besides, FTLF8524P2BNV also supports Gigabit Etherne,partly due to its rate selectable features. This optical transceiver is RoHS compliant and its maximum distance reaches up to 500 meter on 50/125 μm MMF, 300 meter on 62.5/125 μm MMF with LC connector interface. Finisar’s FTLF8528P3BCV SFP+ transceiver can support Fibre Channel links up to 8.5 Gb/s data rate over MMF. Fiberstore compatible Finisar’s FTLF8528P3BCV allows hot plug capability with built-in digital diagnostic functions. It’s compliant with MSA SFP+ Specification SFF-8431, with distance up to 50m on 50/125μm MMF, and 150m on 50/125μm (OM3)MMF with LC connector interface. Finisar’s FTLF8529P3BCV SFP+ transceivers are designed for use in Fibre Channel links up to 14.025 Gb/s data rate over MMF. They are compliant with FC-PI-5 Rev. 6.00, SFF-8472 Rev 11.0 and SFF-8081, and SFF-8432. Using 850nm Oxide VCSEL laser transmitter,FTLF8529P3BCV can reach 35m on 50/125μm MMF and 100m on high-bandwidth 50/125um (OM3) MMF with LC connector interface. Why Choose Finisar Fibre Channel Transceiver? Finisar’s high quality Fibre Channel transceivers are highly recommended in SAN environments because of their high-speed, proven reliability and guaranteed in-order delivery. They are capable to plug and play across the entire Finisar SAN storage product family, including MSA platforms, and are fully compatible with Finisar FC switches, routers, directors and blade server switches. As a professional optical product manufacturer, as well as a third-party, Fiberstore fiber optic transceivers are 100% compatible with major brands, like Finisar mentioned above. Besides FTLF8524P2BNV, FTLF8528P3BCV, other Finisar compatible transceivers can also be found in Fiberstore, such as FTL410QE2C, and FCLF-8521-3.